YES, we cater! 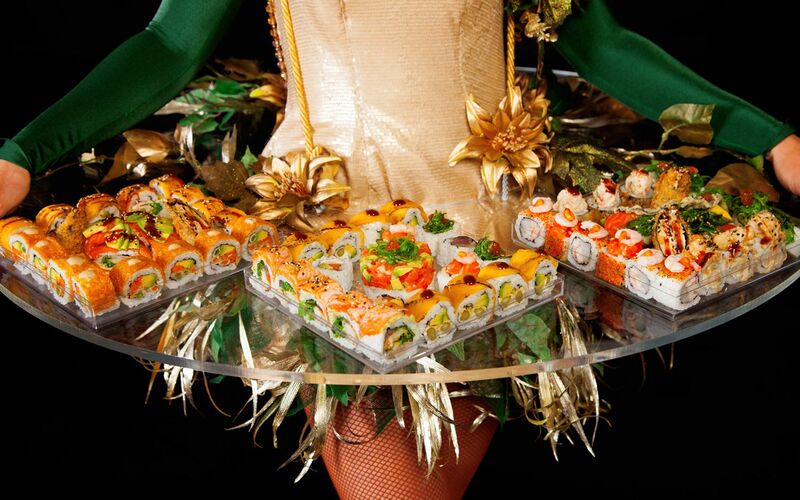 This service is designed to bring Tropical Sushi bold flavours and fun presentation to your home, office or event. We pride ourselves in fresh, wow factor food paired with a personal, friendly service. Contact us today to make your arrangements.  We will provide a menu especially designed for you, with a variety of combinations that will satisfy vegetarians, vegans and people with allergies and intolerances. Our catering service is offered in the following four presentations. If you can’t see what you are looking for do let us know. 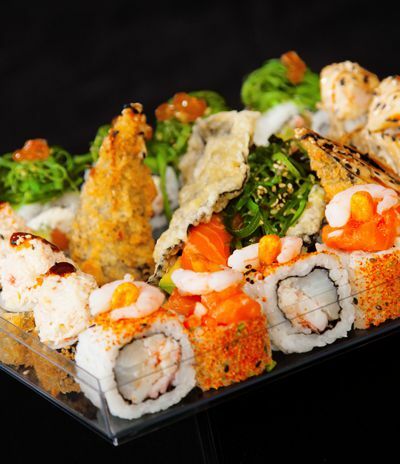 The beautiful translucent box makes a beautiful display base for your sushi selection. We deliver the readymade sushi in these boxes to your event, so all you need to do is remove the lid, place directly on the table and voila! Well presented, delicious and no fuss involved. Ideal for birthdays, champagne reception, office parties, christenings, any special occasion. 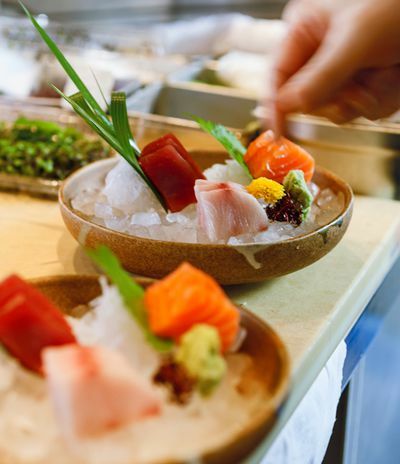 Our staff arrive with your preselected sushi order and will take care of presentation and plating to your specific requirements. At the end of the event we will take it all away leaving you worrying only about relaxing. Ideal for Buffet or Canapes at weddings, corporate events, anniversaries, Bat/Bar Mitzvahs, award ceremonies, galas. 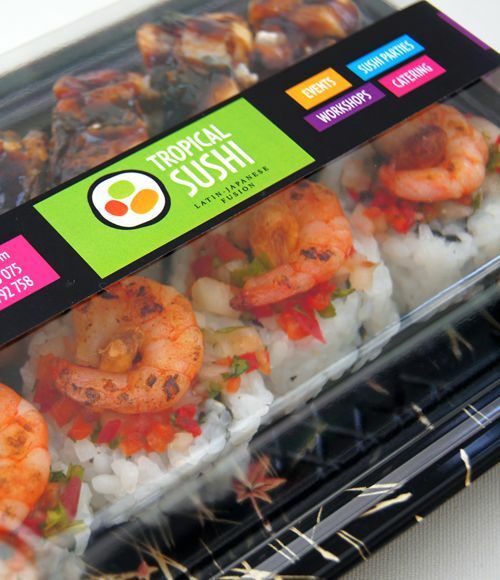 Of course we have added our own Tropical sushi spin to this concept! We have made each box not only practical but also tastefully presented. 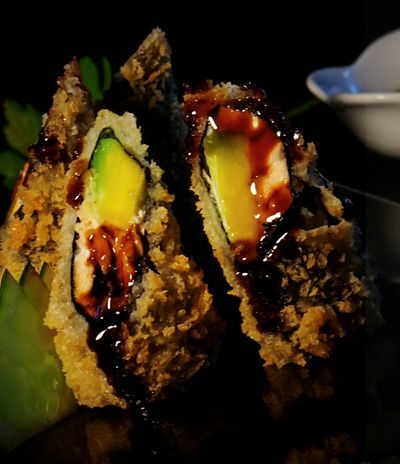 It is packed full of flavour and holds a well-balanced variety of dishes. Our little box will surprise your guests with something unique, nutritious and will ensure they share an unforgettable moment at your event. Ideal for luncheons, business events, informal gatherings, conferences, picnics. 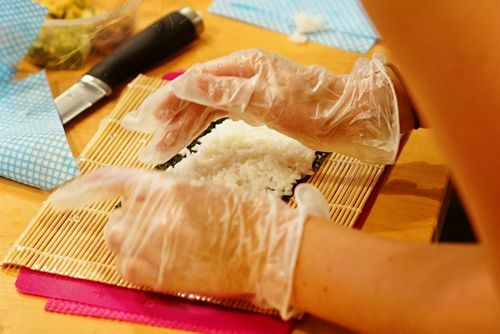 Your own private chef making Sushi LIVE. 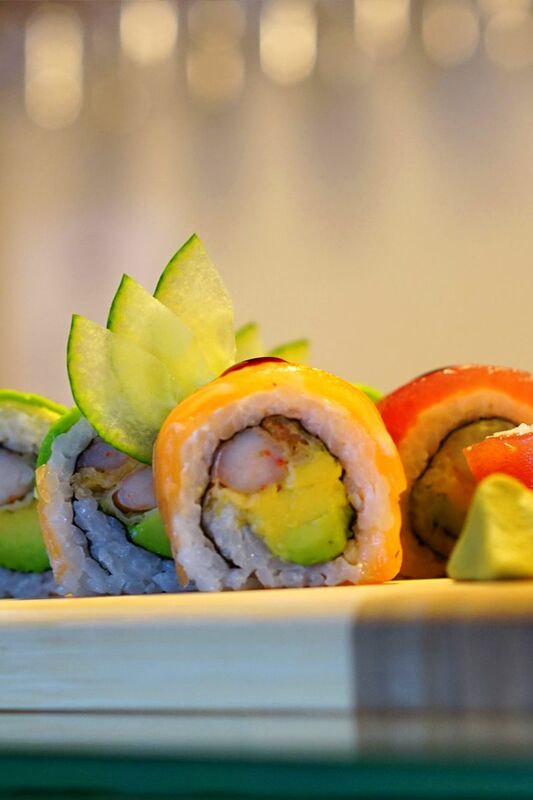 There is a fine line between sushi and art, our chefs’ culinary display will impress your guests with the preparation process and beautiful presentation. Ideal for dinner parties, banquets, any fun bash, any special occasion.  If the catering options above have not ticked your box, do get in touch to discuss your specific requirements. Tropical Sushi Academy, where you learn Japanese techniques on how to make delicious food. 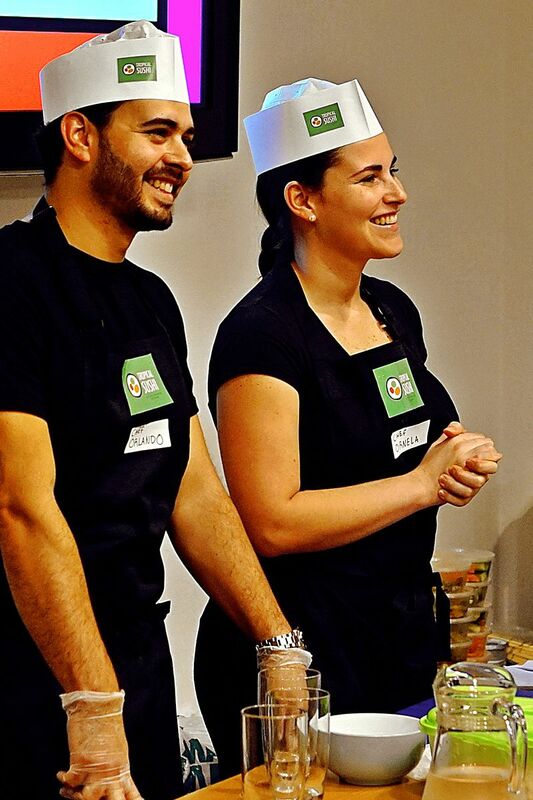 During our workshops we guarantee 100% fun whilst learning step by step from preparing the perfect rice to cutting your rolls correctly. 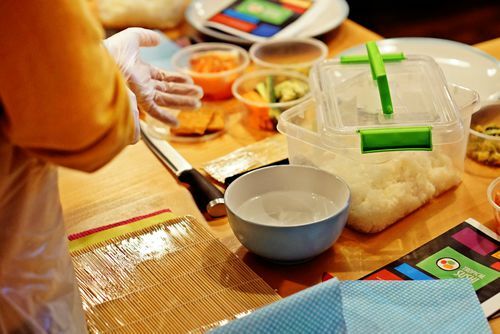 workshops are approximately 2hrs each, during this time you will learn how to make sushi with the freshest ingredients that looks good and tastes great. Your Click & Collect list is empty!